Parkins and Higgins present their collaborative work, Arch, in which the subjective surface generates images of the topography; the luminous surface reinforces the sense of beyond. A kaleidoscopic examination of the body and the city. Electric harp, processors, multiple projections, cameras. Live music/live video. 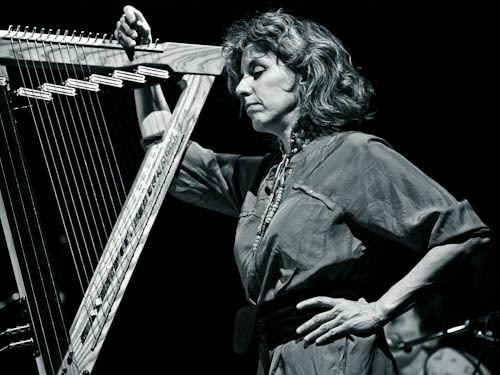 Parkins continues her sonic research on customized high octane harp and Higgins jacks into a video mixer as a performance instrument. The FESTIVAL OF MIXOLOGY MAY 4–14 highlights artists combining music and audio with moving images and is made possible by a project grant from the National Endowment for the Arts. This performance was also videotaped and produced for a Roulette TV segment. 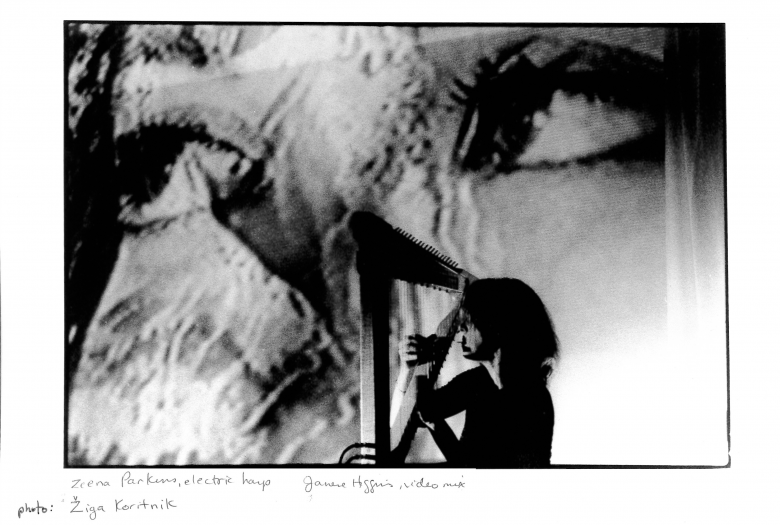 Photo of Zeena Parkins in front of Higgins’ video by Žiga Koritnik. 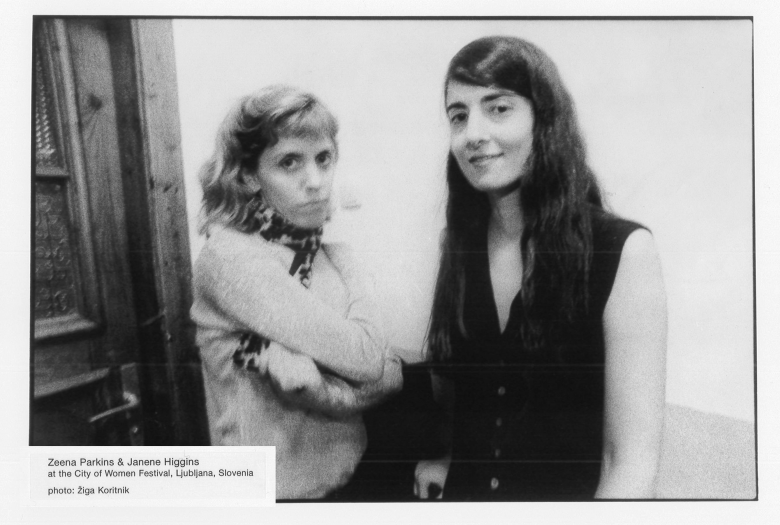 Janene Higgins is a graphic designer and video artist based in New York City. Her work spans several genres, from video performance in the experimental music scene to videos for Saks Fifth Avenue, and the design of several hundred CD packages for such record labels as Sony, BMG, PolyGram, and a wide variety of independents.